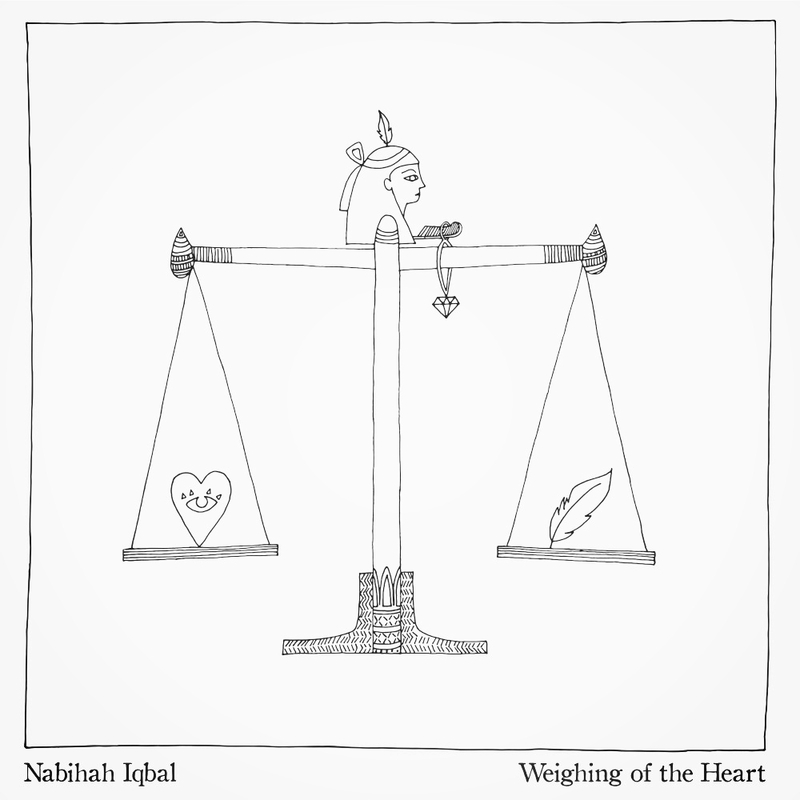 One year after her first EP on Ninja Tune as Throwing Shade, Nabihah Iqbal sheds off this moniker on her return to the label with a true contender of a debut long player. Here, the musician, DJ, ethnomusicologist, and NTS host (to name but a small selection of her multifarious talents) takes a bold expansion into new realms, and embraces her birth name to stand "proudly as a female British Asian artist making music,” as the press release reads. Iqbal’s latest release is rooted still in her flair for all things sleek and synth-heavy as on 2016’s House of Silk; yet, the off-kilter and stuttering repetition of internet buzzwords on hashtag IRL feels a million miles away. Weighing of the Heart is her most glorious and well-rounded release to date, one which flaunts her multi-instrumentalist skills in pure dream-pop glory. Amongst the predominant lo-fi haze of fuzzy guitar and muted drum kicks, Iqbal’s choral vocals are glimmers of warmth which gradually dissipate into the otherwise chilly atmospherics of this December release. Having burned a particular scent of Japanese incense throughout the recording process, this slow sensorial experience materialises on the album opener Eden Piece, where soft and breathy coos curve and twirl like smoke from a glowing ember. Though fluttering cuts like In Visions and Feels So Right provide the album with a warmer glow, it is otherwise a profoundly wintry release. And though these rigid drum patterns and washed-out guitar blur the distinctions between tracks, Weighing of the Heart's haze is yet totally immersive and a truly commendable debut.